Skincare products usually have a rotating door policy in the bathrooms of beauty editors—in one day and out the other. Like a summer fling, it's often easier not to get too attached. I found myself to be quite the fair-weather user, flitting from cream to cream and serum to serum, citing my rarely sensitive, hardly problematic skin as motivation to try (and report on) as many options as I could get my hands on. One of the most crucial of criteria, though, always seemed to be the scent. I wanted my skincare routine to feel spa-like, opting for products fragranced with rose, lavender, or some fresh essential oil mixture. It wasn't until recently (at the ripe age of 28, when I more seriously began to invest in preventative and no-longer-preventative measures of skincare) that I found my long-term groove. My skin has never looked better, and I owe it all to a few big gun–level products. While they all have an A+ reputation in common, the most prominent similarity is their scent. Only this time, it's not the floral, herby blend I formerly craved. Every single one of my go-to, can't-live-without favorites smells… bad. But hear me out. The aroma is more medical than it is actually smelly, but, if you're sensitive to scent, it certainly takes getting used to. The fact of the matter is when you see your even, glowing, blemish-free skin for the first time, you'll be too busy dancing around your bathroom to notice. Below, find the five skincare powerhouses I refuse to live without and about a million reasons why their stench is the last thing on my mind. The allure of this mysterious brand was almost lost on me—as there's not a ton of explanation on the internet and it's infamously difficult to procure. I would forget about it for months until another low-key, glowy-skinned French woman touted it as her secret weapon. What even is this? I've thought to myself many, many times. I finally had the tingly, vinegar-scented formula applied to my face during a facial by Toska Husted herself at Toska European Spa, where its dark spot–erasing, pore-shrinking, and complexion-balancing results left my jaw dragging along the treatment room floor. 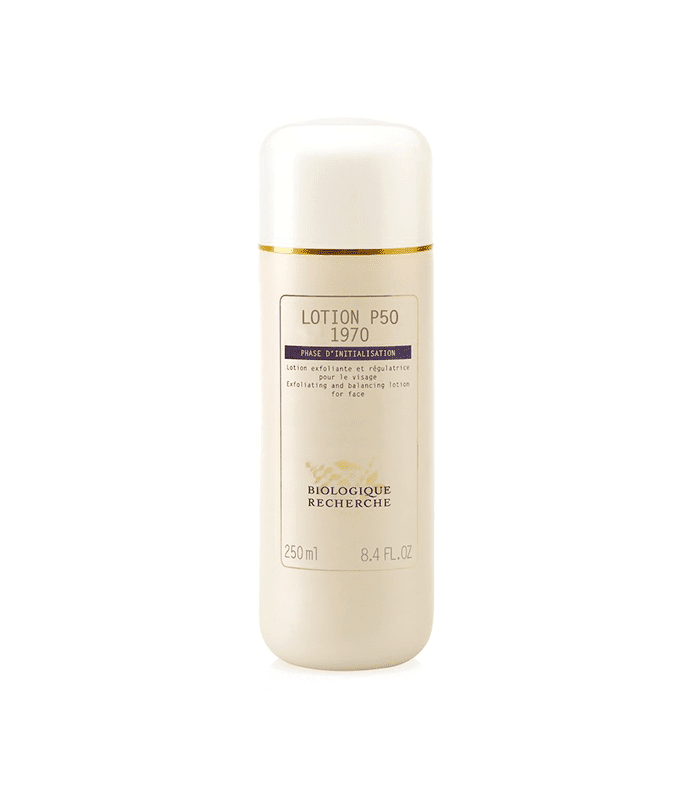 "P50 is an acid toner that exfoliates the skin while nourishing it with botanical extracts and vitamins," says Husted. The ingredients are a mix of a few of the usuals: lactic acid, salicylic acid, and citric acid blended together with a selection of other, more eyebrow-raising components like onion extract, horseradish, sulfur, and vinegar (which certainly explain the smell). Immediately after drenching a cotton pad with the bottle's contents and swiping it carefully over my face (twice a day, as suggested by Husted), I feel a flush of tingling. It's a sensation that doesn't hurt or feel uncomfortable, but, rather, satisfying and exciting in that "I can tell this is working" kind of way. If I had to pick one product to supplement the splendor and glory that P50 brings about, this is the one. 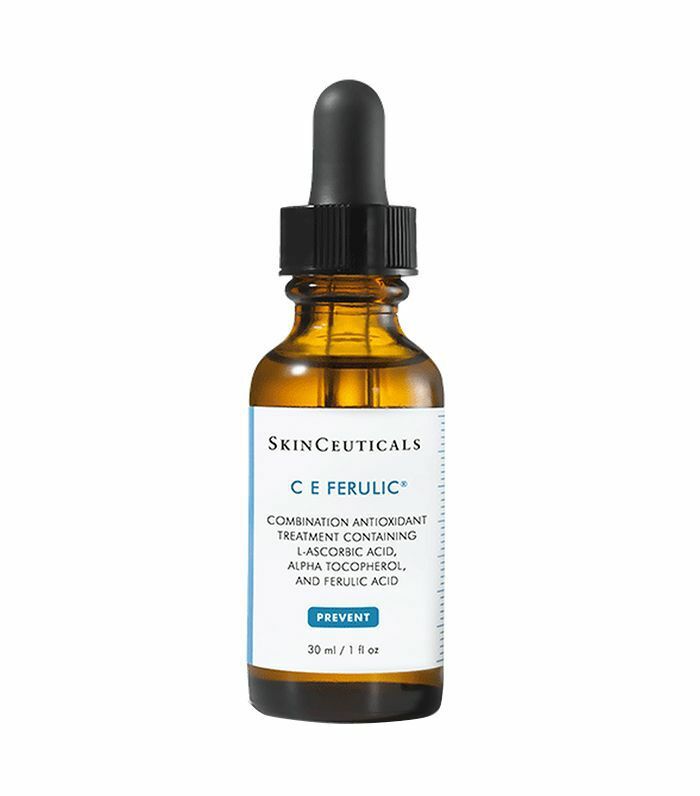 On its own, the combination of ferulic acid and pure vitamin C and E enhances my skin's protection against environmental damage caused by free radicals, improves signs of aging and photodamage, reduces the appearance of lines and wrinkles, and brightens my complexion each time I use it. Together with P50, the duo is a skincare powerhouse I can't believe I ever lived without. The thing is, the reason I lived without it for so long (despite its many, many glowing reviews) is the smell. It was described to me as something like "boiling hot dog water," which, to be fair, isn't far from the truth. You get used to it, though, and for what it does to my skin, I'll never complain again. I started using this particular serum at the suggestion of Husted, as it's particularly healing and regenerating and it helps with pigmentation. As a former habitual sunbather, sun damage is a huge concern of mine. 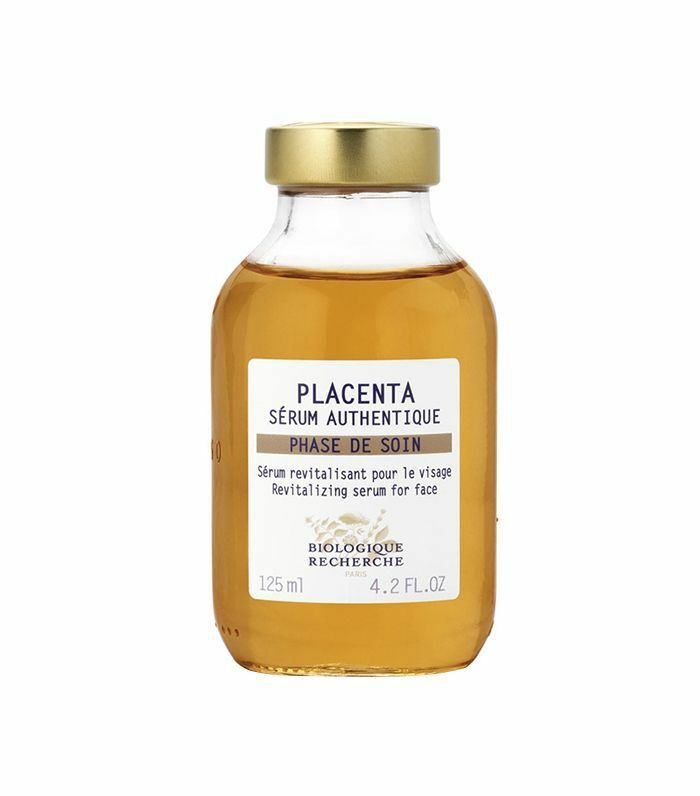 "Sérum Placenta is an intensive repairing and nourishing serum," explains Husted. "Containing placental biostimulin protein extracts, this healing and regenerating serum can be used to strengthen and re-build the skin. It's ideal for post-acne scarring, after peels, or prolonged use of Retin-A. It also helps lighten areas of pigmentation caused by skin imperfections." Because Biologique Recherche doesn't add any perfumes to their products, it is quite pungent. But, again, whatever works. 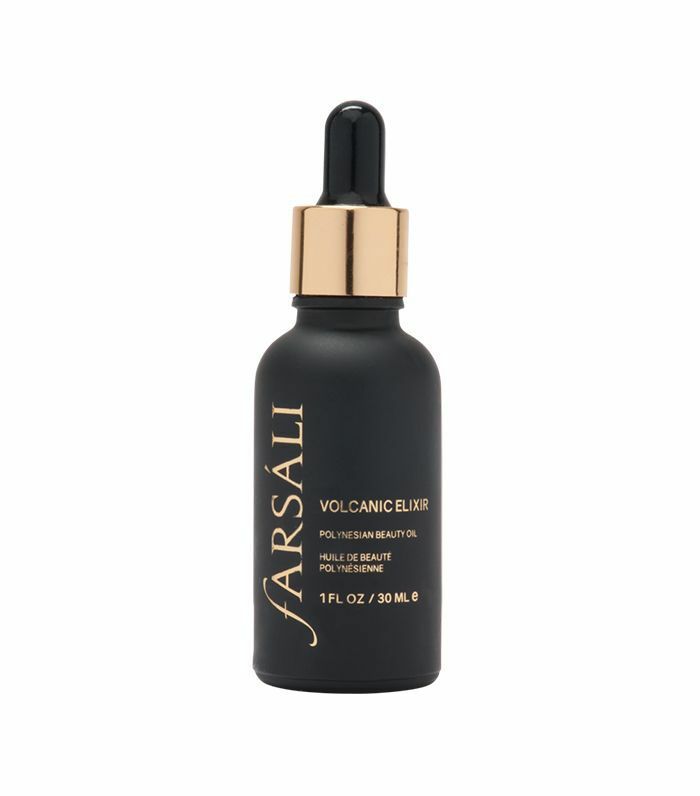 Farsali's Volcanic Elixir contains potent Polynesian tamanu oil—which has properties known to help repair and condition skin, explains Sal Ali, the brand's founder. "The oil's strong, earthy scent is a testament to how powerful it is; we didn’t want to compromise that by trying to mask it with artificial scents. Tamanu oil contains a lipid called calophylloide, which is highly anti-inflammatory." "I recommend using it as part of your nighttime skincare routine, so it can work its magic overnight. You can also apply this oil to any skin that needs extra love, from dry cuticles and elbows to soothing eczema. It works especially well on acne-prone skin," Ali says. I switch off using this oil every few days with my regular moisturizer so I can reap all the dreamy skin benefits. As an avid derma-rolling enthusiast—thanks to the shocking results it brought our wellness editor, Victoria—I'm drawn to products meant to supplement a night of needles. 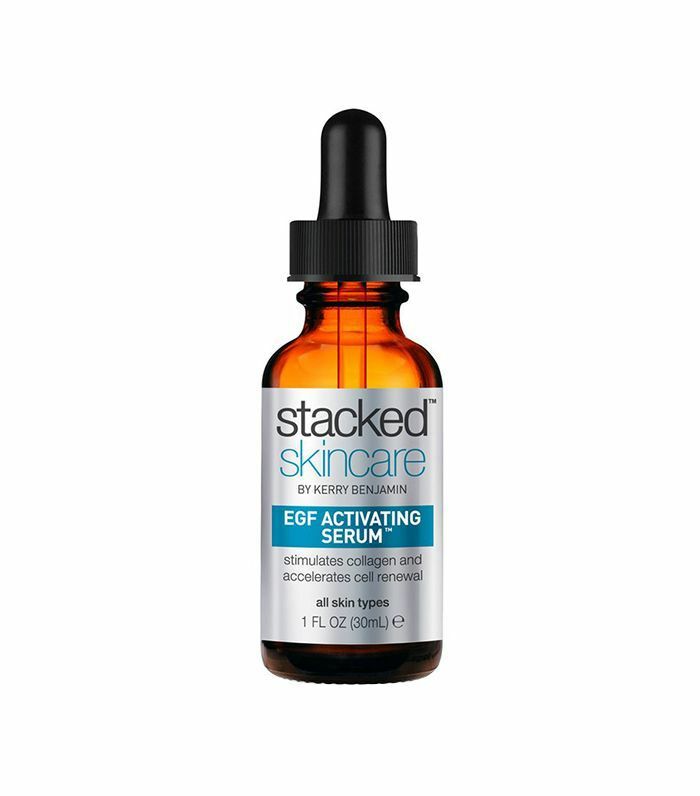 Such is the case with Stacked Skincare's EGF Activating Serum ($150). It works with the brand's micro-needling device to regenerate and renew my skin, as well as decrease my under-eye bags. With ingredients like aloe leaf and green tea extract (a rich source of antioxidants to ward off free radical damage), the deep brown color of this serum is pretty surprising at first glance. Then, when you read a bit further into the ingredients list, actives like yeast extract (to enhance healing and speed up cell turnover) and sH-Oligopeptide 1 (a powerful growth factor that activates the skin’s natural renewal and regeneration processes), the look and scent starts to make a bit more sense. "The high concentration of yeast is what causes the odor. This ingredient is what helps to speed up the healing of acne and also helps lift dark spots (hyperpigmentation) due to increase cell turnover," explains Kerry Benjamin, Stacked Skincare's founder. Next up: This facial for blackheads cleared my skin in 20 minutes. This story was originally published in 2017 and has since been updated.